I was recently asked "the question” and after asking my usual questions, the responses I got were: a boot for the lower 48, a boot that will ice and mix climb well, and something that I can stay warm in Colorado in the winter but still use in the Cascades in the summer. As a La Sportiva athlete I do get the luxury of trying many different models and with the above criteria a boot instantly came to mind. The La Sportiva Trango Extreme Evo Light is a perfect boot to crossover the seasons as it has Gore Tex Duratherm that keeps the feet nice and toasty on those single digit days. The boot is very nimble and light and climbs ice and mixed routes with ease. The rocker sole works well on those longer approaches in the Cascades and the Gore Tex Duratherm will help keep you dry in wet conditions. This is one of my most used boots and one of my favorites in the all around category. If you are in need of a new boot and only can get one that will perform well in many situations this may be your boot. 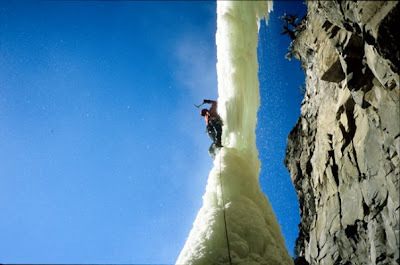 Mountaineering is one of my favorites extreme sports , I have been practicing it since 2000! !